Thank you for your interest in The School at St. George Place and welcome to our website. Whether you are a member of our school community or exploring The School at St. George Place for the first time, we hope that you find our website informative, enjoyable, and easy to use. We also hope our website conveys the essence of the wonderful learning environment fostered by our dedicated teachers and talented students. Together they make The School at St. George Place the unique and special place we believe it to be. 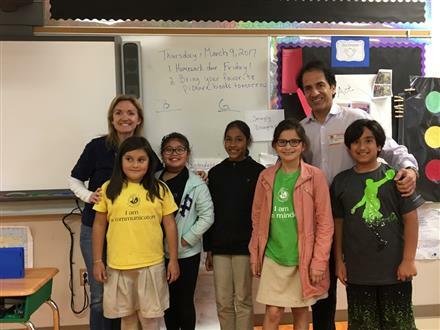 Learn how the IB Continuum from elementary through highschool will support life long learning. 4th and 5th students put their skills to use for Odyssey of the Mind district competitions. Our OOTM team did so well that they are advancing to state. Congratulations to Ms. Lozano, Mr. Silveira, and all the boys and girls on the team!!! 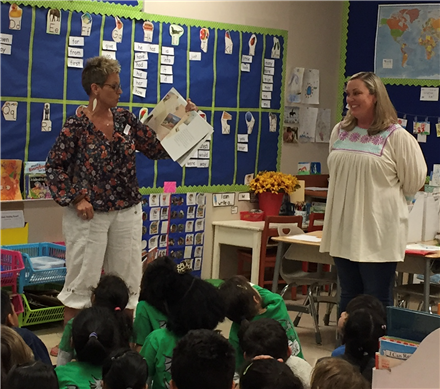 Nationally recognized Literacy Expert, Jen Jones, stopped by for a surprise visit! 2nd Explores How we express ourselves! 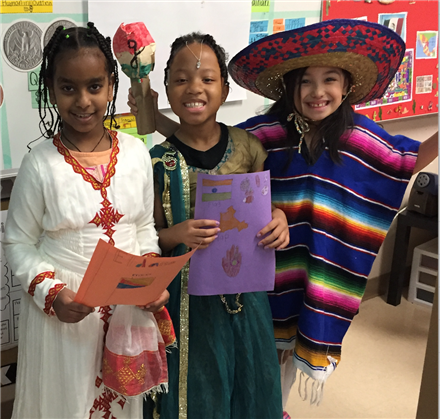 Though their 3rd Unit of Inquiry, students learned how culture extends beyond borders. 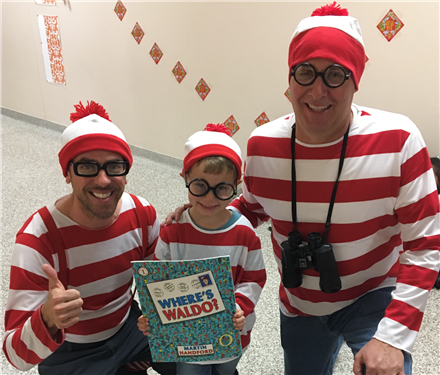 Teachers, staff and students dressed up as their favorite character in our annual book character parade. Can you find Waldo? Congratulations to The Academic and Speech Team! The Name That Book contest, coordinated by the HISD Department of Library Services, serves to acquaint HISD students with classic literature as well as contemporary award-winning books, representing a variety of genres. This year, our team had a wonderful time reading the books and formulating a strategy for the competition. As one team member said "we became a family of readers". 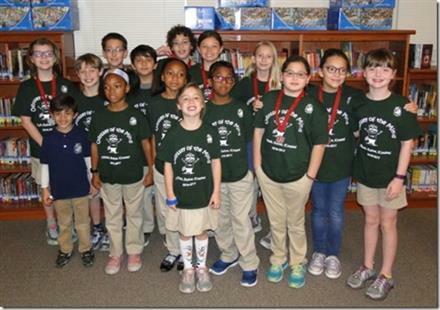 Two teams (1st- 4th and 4th/5th) from the School at St. George Place competed in the Houston Area Regional Odyssey of the Mind Tournament on Saturday, February 25! The 1st - 4th team earned high honors in individual categories. 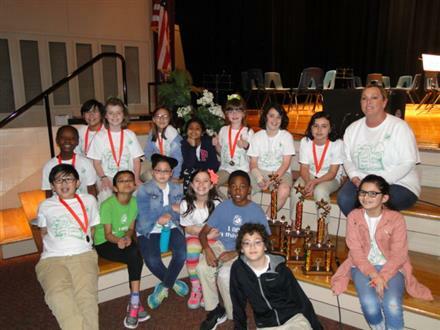 The 4th/5th Grade Team took 2nd place overall in their section and has advanced to the State Tournament in April. This is only the second year that the school has participated in this international creative problem-solving competition. Team. Go Dragons! 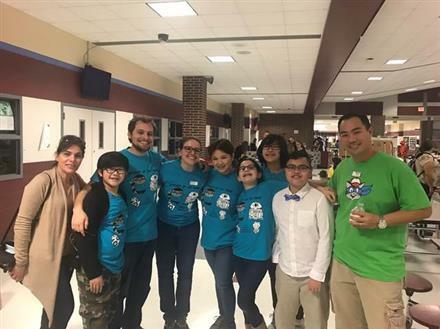 And a special thanks to our outstanding coaches Nancy Zey and Rina Bertram as well as our teacher sponsors, Gabe Silveira and Vanessa Lozano. It was a great honor for me to get to wish Mr. Harvin Moore well today. 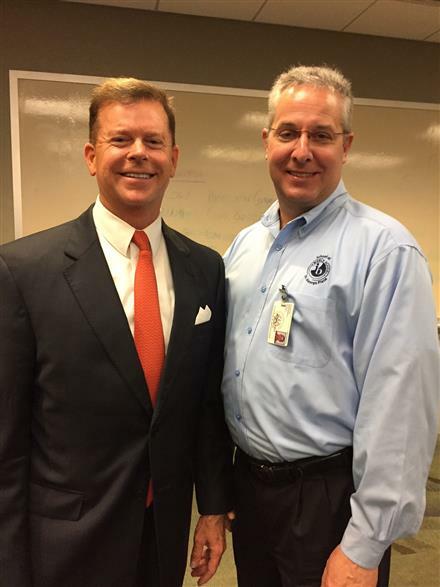 He is retiring from the HISD Board of Trustees after 12 years of service. 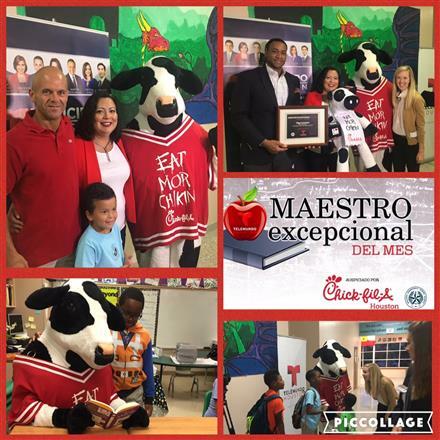 He has been a huge supporter of public education in this area for a long, long time. Jon Kimura Parker has played for presidents, the Queen of England, and dignitaries around the world. 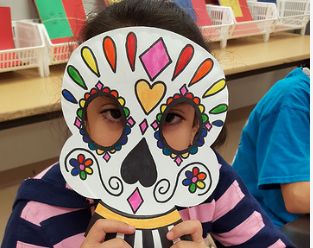 The Visual Arts Department studied traditional customs for Día de los Muertos. 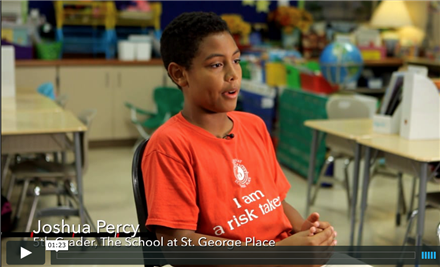 The School at St. George Place is making waves world wide! The School at St. George Place participated in an evening with the Houston Rockets and the world-renowned Houston Symphony to promote respect. Click HERE for registration and admissions information. Click here for info on entering GT testing for Kindergarteners. Make a difference in our world. Action is an important part of our International Baccalaureate (IB) Program. Click HERE to learn how you and your family can help out! For the past 15 years, schools have trusted Boosterthon to increase funds and inspire students through a remarkable fitness and character program.